At the rolling hills of Antipolo, Rizal is Valley Golf & Country Club, Inc., a private and non-profit club organized in 1958 by a group of businessmen headed by the late Don Celso S. Tuason. In the same year the Securities and Exchange Commission authorized an initial offering of 1,800 shares to the public at P10,000.00 per share. To date 1,525 shares have been sold and subscribed. The selection of the layout resulted from the comparative expertise of two architects, an Englishman named Fred Smith and an Australian named Jas H. Scott, who both submitted plans. Finally the Australian, Jas H. Scott's design was adopted. 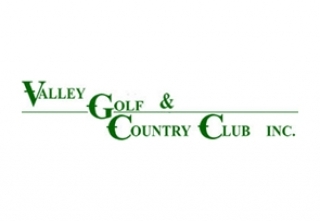 Three years after the nursery was built, Valley Golf was opened for play in 1961 and attracted a great traffic of players and aficionados. With this encouraging trend, the club was expanded to accommodate another par-70, 18-hole course on the north in addition to its original south course in 1989.